Silencio Blanco uses silence as the stage on which to project great emotion. 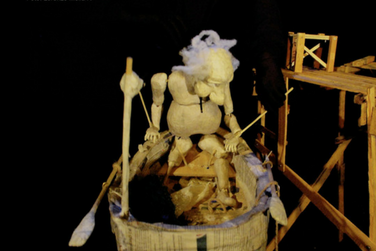 Silent, colorless puppets capture humanity in its purest form in this one-of-a-kind dramatic experience. In Pescador, Silencio Blanco uses their craft to allow us to view the beauty and struggle of a fisherman’s labor, exploring those individuals faced with nature’s overwhelming magnificence while submerged in solitude.